With fast access of internet, customers are getting engaged in accessing information about your brands, products and services, with or without you being online. So delaying in getting an appropriate web presence with mobile ready websites is like losing business. At Unicode, the Web Development Company in Delhi, we understand the importance of a website which is easily recognisable and follow the users journey to guide them to the info that they are looking for with an interactive user experience. It engages users and add value to the customers, business. Websites designed by Unicode, are online identity for its client's brand that speaks the idea and concept of your company and are compatible with multiple devices. 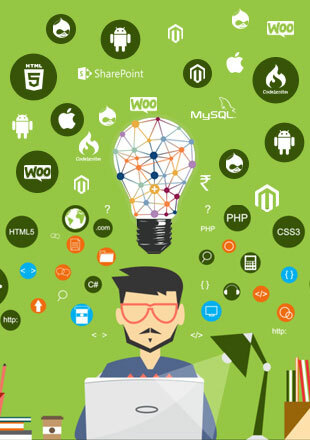 We at Unicode Solutions, the experienced website development agency in India, are specialized in providing customised designing services which spread across websites, web and mobile apps, social media identities and other digital tools. Our SEO Friendly web designing services are not only helpful in great digital makeover but also invite and engage huge potential for business growth with increased conversions. Let's work on your Project. Hire Us. We do great custom website design!